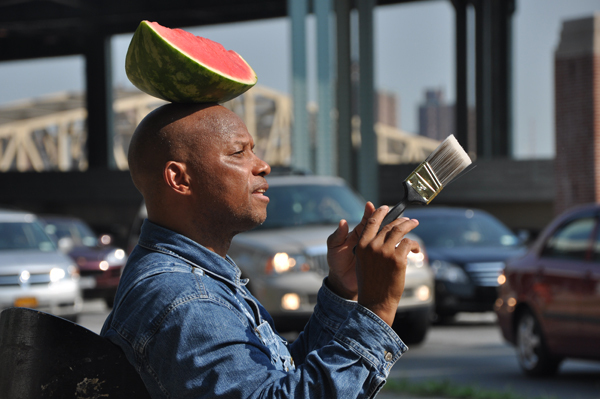 For over a decade and on a near-daily basis, Otis Houston Jr., a self-taught artist from Harlem, has performed before a captive audience of car-bound commuters passing through a natural bottleneck on Manhattan’s FDR Drive. BLACK CHEROKEE is a documentary short that explores this unique artist’s work at a time of great productivity and significant challenge as he’s charged with caring for his beloved father who had recently been diagnosed with Alzheimer’s. A meditation on family, inspiration, sanity and success, the film pays homage to a New York City icon and opens a lyrical window onto Houston’s deep sense of duty, his raw charisma, and the dynamic beauty of his art. Directed by Sam Cullman and Benjamin Rosen, BLACK CHEROKEE was completed in September 2012.  For more info about the filmmakers, please visit Yellow Cake Films and Benjamin Rosen. And to receive updates about future screenings, get news about the artist and all things BLACK CHEROKEE, be sure to subscribe to our mailing list on our contact page. 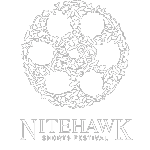 To download a press kit that includes a directors’ statement, film summaries and synopses, filmmaker bios and credits, production stills, press clips and more, click here.